Learn to paint with beeswax in the beautiful South Okanagan. Encaustic is method of painting where pigmented beeswax is applied to a substrate using a heat source. Through the Exploring Encaustic series of art classes Bethany guides students on their creative journey with a focus on safety and fun. Having worked with encaustic for 10+ years students can be confident in her instruction and will gain a solid foundation in this medium. 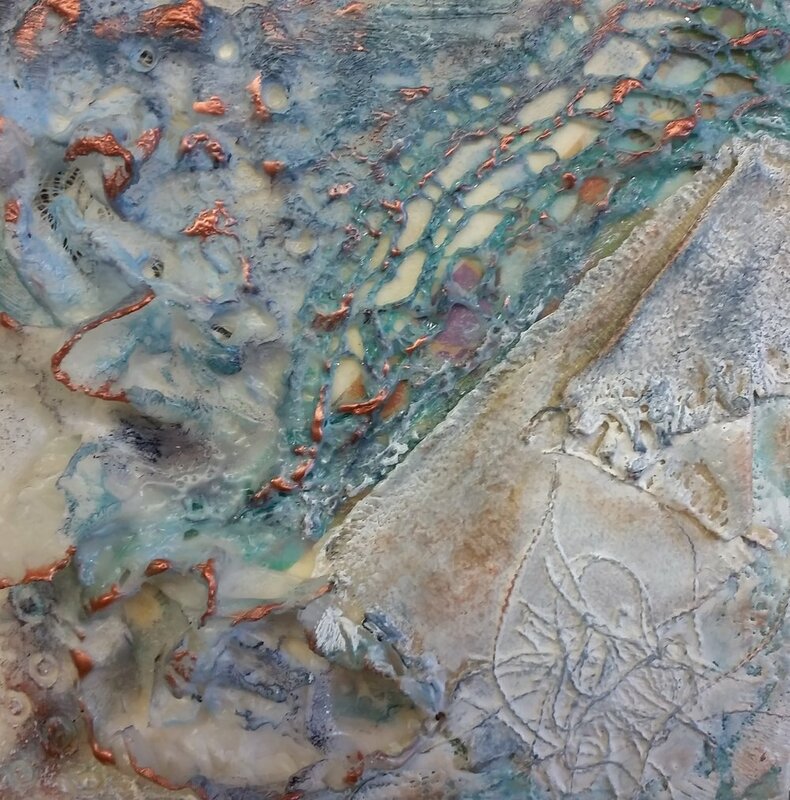 Learn to use stencils and other materials to create texture and visual interest to your encaustic paintings. Please join me for 5 full days of painting with encaustic. Curious about painting with pigmented beeswax?